PARIS, November 9. /TASS/. The General Conference of United Nations Educational, Scientific and Cultural Organization (UNESCO) has rejected on Monday the bid for membership of the self-proclaimed Republic of Kosovo. 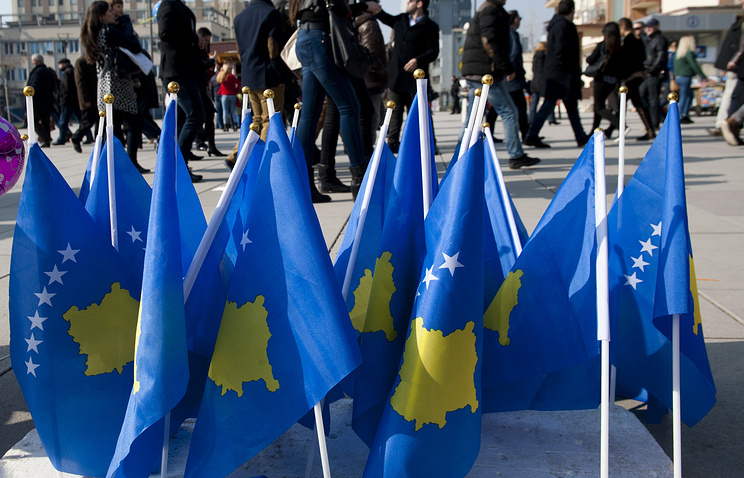 According to the latest data, Kosovo fell short of collecting 95 votes required for joining the international organization. The voting on the issue took place within the framework of the 38th session of the UNESCO General Conference, with two-third votes needed for granting the membership to Kosovo. Serbia campaigned against Kosovo’s membership, recalling that "barbaric acts systematically occurred" in Kosovo, when the Serbian Orthodox religious and cultural facilities were destroyed. Last month Serbia did not recognize the Stabilization and Association Agreement between Kosovo and the European Union signed in Strasbourg. The attempts to grant Kosovo UNESCO membership lead to the politicization of the activities of this organization, Russian Foreign Minister Sergey Lavrov said on Friday following meeting with UNESCO Director-General Irina Bokova. "It is important to avoid the politicization of the UNESCO activities, that's what we see now in connection with attempts to grant the organization’s membership to Kosovo in violation of Resolution 1244 of the UN Security Council," he said. Resolution 1244 of the UN Security Council passed on June 10, 1999, envisages a set of measures to resolve the situation in Kosovo by granting "substantial autonomy and real self-administration" to the region while observing "the sovereignty and territorial integrity of Yugoslavia." Kosovo’s administration is "aware of Serbia’s concern over the situation with the Serbian Orthodox Church," Prime Minister of the self-proclaimed republic Isa Mustafa said on Monday. "We have provided all necessary guarantees that we will protect and expand ties with this church, cooperating on both the issue of its property and religious activities, Isa Mustafa said.